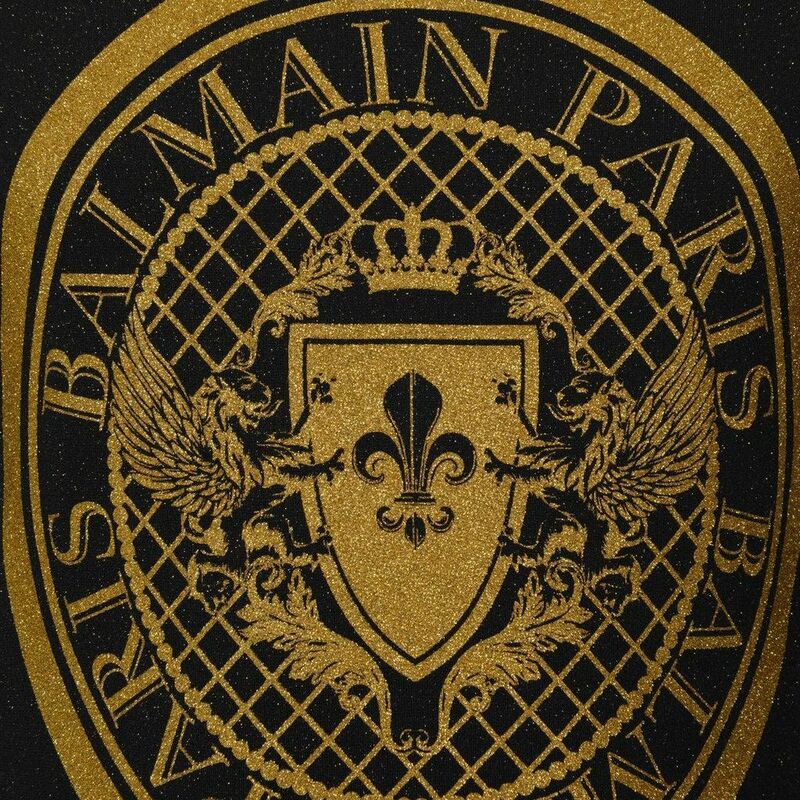 Balmain black top, featuring a sparkling gold glitter fibre throughout. 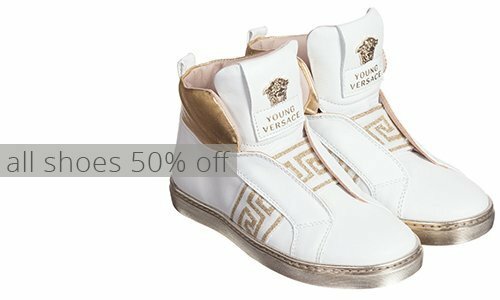 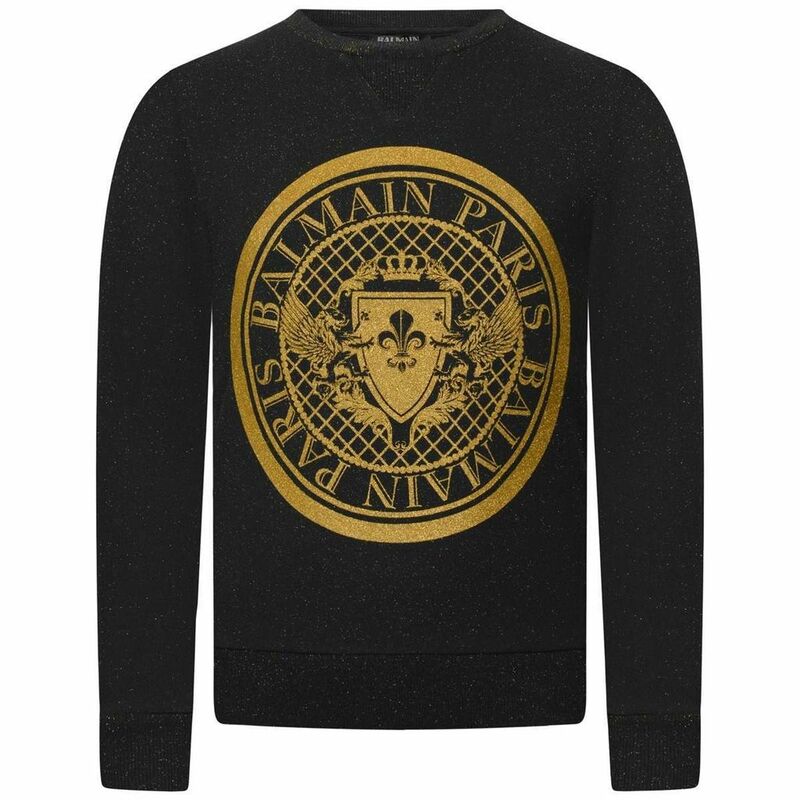 The glitter top features a large gold Balmain Paris logo, with a stylish crest design to the centre. 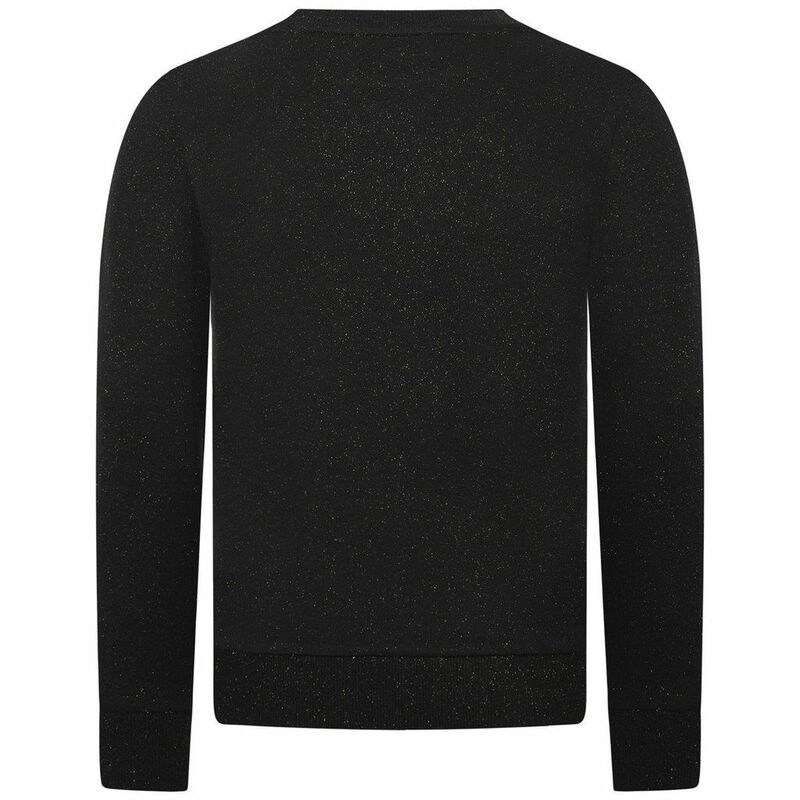 The top is complete with a round neckline, long sleeves and ribbed cuffs.